This is quite understandable. 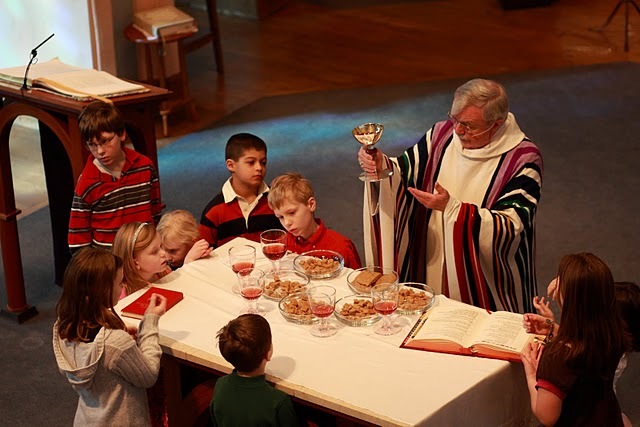 You're right about how the liturgy being celebrated differently at different churches somewhat confuses the whole belief that the church is universal (although, true, liturgies vary with different rites). People are very good at dropping something that doesn't interest them. Very good post. Thank you. Yeah I agree and have similar problems. Why don't I start a confraternity where we do some regular prayers and punch catholics in the head who deserve it. Obviously called the confraternity of St Nicholas. Any bishop reading this should let us know if they are willing to help start this! Is it sacrilege to punch priests in the head? Anyway it would definitely pique the interest of visitors if random people got punched in the head! Heck I would start going to the NO again just for fun. The women comment may be besides the point . The Ordinariate Mass reminds me of how Mass was when I was young and I experienced pre Vatican II Liturgy . Mass took as long as it needed to take . There was a sense of holiness and respect that permeated the church . There were few Masses offered and we knelt to receive communion . We reflected on the Eucharist with our face in our hands for at least 10 to 15 minutes post communion . There was such a thing as preparation before Mass . Post Vatican II , our same church started adding Masses while cutting down the time of the Masses to 35 minutes flat . I used to see fellow parishioners walk down the aisle , receive communion in their hands and walk right out the side door of the church to their cars which they left running . The sense of sacred mystery went right out the window .I started attending the Vigil at 2:30am at a Abbey of the Genesee Monastery 40 miles from Rochester - where I live. I heard the Psalms chanted .I heard prayer . I would hear the readings of the early church fathers . I would pray for those who needed conversion to Christ . I soon started going to the Liturgy of the Hours during personal retreats there and would actually be filled with joy to drive the 40 mile trip to attend 2:30am Vigil on a frequent basis . I found out that this is also known as Divine Office / Breviery . The Abbey of the Genesee also has Sunday Mass . I suspect many go there for Mass because the attitude of sacredness still exists . I do know that my brother in law’s sister who died from cancer on June 7th, 2018 , was a Discalced Carmelite Nun. The nuns assisted at Liturgy held by a visiting priest at their convent , but there was that same sense of sacredness .Perhaps the best recommendation to give your friend or friends - would be to visit a monastery for the Liturgy of the Hours / and to do the Liturgy of the Hours with some others or by themselves . Annibale Bugnini made that infamous quote about removing and stripping from the Catholic prayers and liturgies everything that is a stumbling block for the separated brethren. Seems like that mantra can now be used against the bad liturgies and weak prayers in the aftermath of the Council. Remove the bad, vernacular liturgies and bring back the beautiful prayers and litanies and teachings of the Church.